Allantoin is an antioxidant that soothes the skin. Salix nigra (willow) bark extract calms and soothes the skin. Love these cleanser. I have using these for several months I kept coming back to these product. Since I used this product it clear my acnes . Love this face wash. After used this item, I didn't experience breakouts. Love it. The cleanser is light and fresh on my skin. I use this wash everyday it keeps my skin from becoming too dry. I'm thankful that I invested in this line after having experienced some of the products in a recent facial. This cleanser is AWESOME. You truly don't need more than about a dime size amount, as it spreads easily over your entire face/neck with this amount. Has really helped to clear up my semi-oily, blackhead prone skin! Love the product. No complaints so far. I have used PCA for over 10 years, and my daughter is also using PCA. Great products and reasonable prices. Her skin has improved and very pleased. This is a great face wash. Keeps my skin clean & healthy! Highly Recommend it!! Just started with this product a few weeks ago and I love it! The cleanser is gentle, pleasant smelling and leaves my skin soft and clean without a dry feeling. 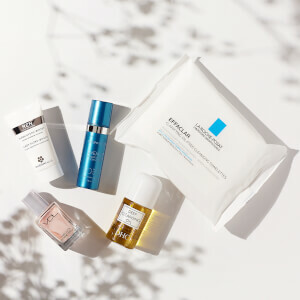 My dermatologist recommended PCA skin products to me over 20 years ago and I have been using the facial wash, skin toner, collagen hydrator and protecting hydrator spf 30 ever since that time. I have rosacea with dry, sensitive skin. I am now 70 years old and still using these products daily.